In the background the S&stilde;o Jorge Castle, which was closed during my stay. A sales both in the city center. A view across the city center at the castle. Lisbon is haunted by graffiti sprayers, more than any other city. Also obliterated by graffiti, the cable cars are one attraction of Lisbon. In 1755 the city was destroyed by a powerful quake. The ruins of Igreja do Carmo remained as a memorial. A memorial of Joseph I. A huge suspension bridge connecting Lisbon with the other side of the Tagus river, Almada. Painted the same color, it resembles the Golden Gate in San Francisco. The Christo Rei memorial was built after WWII. 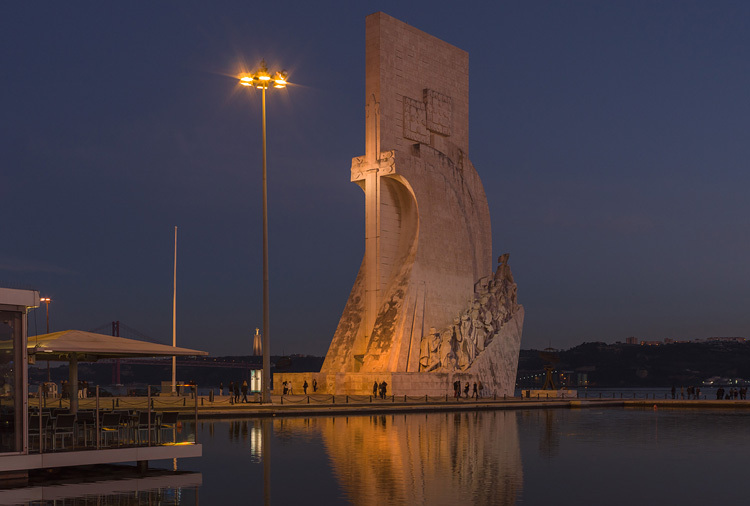 A more detailed look of Ponte 25 de Abril. Planning started in 1940 as a plea to keep the war away from Portugal. It worked. The locals say that Jesus is directing the traffic on the bridge and blame his gesture for the jams during rush hour. A monastery, one of the few buildings, which survived the 1755 earthquake. It hosts several museums. 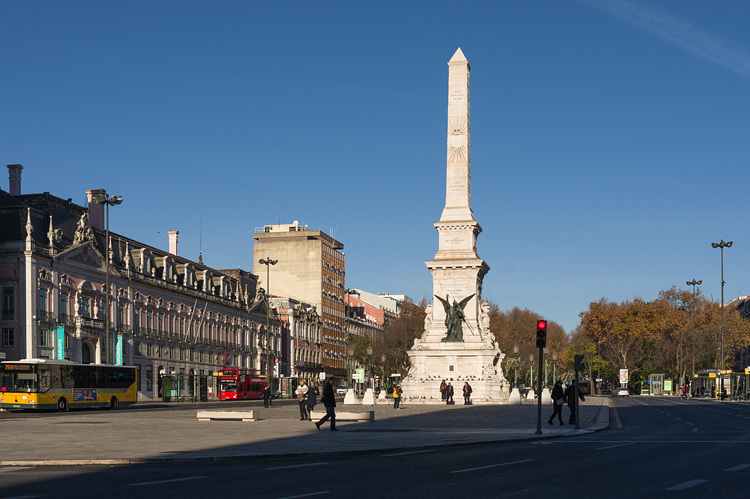 Lisbon is a maritime city. The Belém Tower or Tower of St Vincent is one of the highlights of Lisbon. Built of limestone, its white walls deliver a nice contrast in the evening light. A visit to the inside of this small fortress is interesting, albeit a nightmare at the same time. Long waiting lines and the narrow staircases turn a visit into a nerve-racking experience. The river bank of Belém makes for a nice walk especially in the evening hours. A monument build in honor of the world-exploration in the 15th and 16th centuries. The Tajo (Tagos) at its mouth.